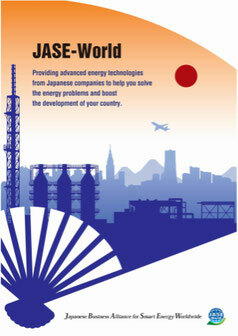 JASE-W participated in the Japan Pavilion of World Future Energy Summit (WFES) 2018 held in Abu Dhabi, UAE. In the JASE-W booth, members displayed panels and demonstration equipment, and made presentations of their own energy efficient and renewable products and technologies. From JASE-W member, Daikin Middle East & Africa FZ, Kawasaki Heavy Industry, Sumitomo Mitsui Banking Corporation participated, displayed the demonstration equipments, the panels and making presentation of their products and technologies. 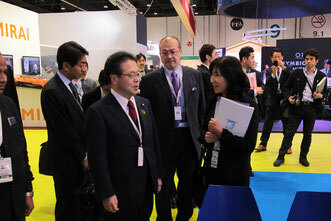 Minister Seko, of Economy, Trade and Industry, was attended the opening ceremony of WFES and visited JASE-W booth, and we introduced JASE-W's activities to him. Also Minister Khono, Forefinger Affair visit to our booth after the annual general meeting of IRENA.